On the Solemnity of Christ the King, 20 November, 1994 in the Mother church of Corato, Mons. 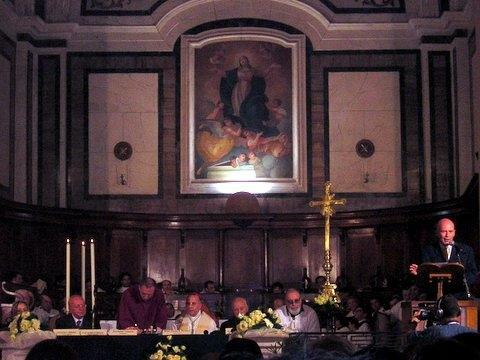 Carmelo Cassati, Archbishop of Trani-Barletta-Bisceglie, having received the Non Obstare issued by the Congregation for the Causes of Saints, blessed the opening of the Cause of Beatification and Canonization of the Servant of God Luisa Piccarreta, secular third order Dominican. With the Archbishop himself as president of the Ecclesiastical Tribunal, joined by enthusiastic faithful from southern Italy and around the world, Luisa began her triumphal journey toward the Honors of the Altar. On October 29, 2005, the conclusion of the Diocesan Phase of the Cause of Beatification and Canonization of the Servant of God, Luisa Piccarreta, was officially celebrated and transferred to the Vatican. With the Constitution “Immensa Aeterni Dei” of January 22, 1588, Sixtus V created the Sacred Congregation of Rites and entrusted to it the task of regulating the exercise of divine worship and of dealing with the Causes of Saints. Paul VI, with the Apostolic Constitution “Sacra Rituum Congregatio” of May 8, 1969, divided the Congregation of Rites, creating two congregations: one for Divine Worship and another for the Causes of Saints. With the same Apostolic Constitution of 1969, the new Congregation for the Causes of Saints took on its own structure with three distinct offices: the judiciary, that of the Promoter General of the Faith, and the historical-juridical, which was the continuation of the Historical Section created by Pius XI on February 6, 1930. The Apostolic Constitution “Divinus Perfectionis Magister” of January 25, 1983, and the respective “Normae servandae in inquisitionibus ab episcopis faciendis in causis sanctorum” of February 7, 1983, made possible both a profound reform in procedure for canonization causes and the restructuring of the congregation. It was given a College of Relators, assigned to take care of the preparation of the “Positiones super vita et virtutibus (o super martyrio) of Servants of God. John Paul II, with the Apostolic Constitution “Pastor Bonus” of June 28, 1988, changed the name to Congregation for the Causes of Saints. The pro-prefect of the congregation is Archbishop Alberto Bovone, nominated this past June 13; the secretary is Archbishop Edward Nowak and the under-secretary is Msgr. Michele Di Ruberto. In addition, there is a staff of 22 people. The congregation has 23 members – cardinals, archbishops and bishops – 1 promoter of the faith (prelate theologian), 6 relators and 71 consultors. The congregation prepares each year everything necessary for the pope to be able to set forth new examples of holiness. After approving results on miracles, martyrdom and heroic virtues of various Servants of God, the Holy Father proceeds to a series of canonizations and beatifications. On December 18, 1997, Rev. Cosimo Reho, Professor of Dogmatic Theology, tendered his theological evaluation of the writing of the Servant of God, Luisa Piccarreta, to the Diocesan Tribunal responsible for her Cause of Beatification. Rev. 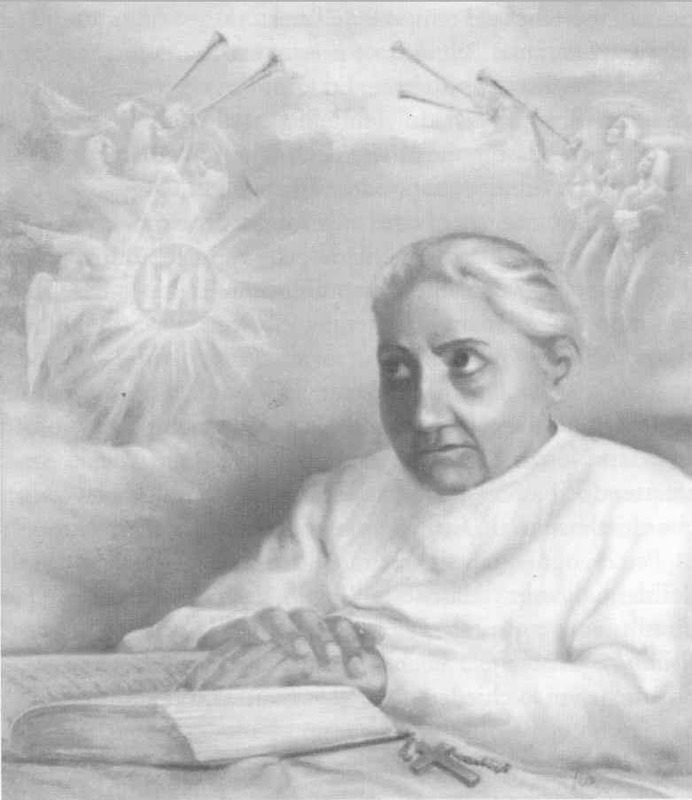 Father Reho has determined that the writings of Luisa Piccarreta contained nothing contrary to Catholic faith or morals. His findings, therefore, concur with the findings of Rev. Antonio Resta, Rector of the Pontifical Theological Institute of Southern Italy, who submitted his report to the same Tribunal on June 2, 1997. He also found nothing in Luisa Piccarreta’s writings contrary to Catholic faith or morals. Archbishop Joseph Leo granted the Imprimatur to those Volumes, also in 1926.
to open Luisa’s Cause in 1994. For several years an incongruity has existed between the fame of holiness of Luisa Piccarreta, which includes the canonization of one of her spiritual sons, St. Annibale de Francia, and the establishment of a Cause for her own beatification, and the confusion and controversy surrounding her name and spirituality, especially in the United States. It has never seemed justified to attribute this confusion to the Servant of God, but rather to poor translations, rash interpretations of her writings, and a lack of theological competence by some who try to explain her writings. For this reason, EWTN has always urged Catholics to use great caution, until such time as clarity could be brought to the situation by ecclesiastical authority. On October 29, 2005, Archbishop Pichierri declared the diocesan process of the Cause for the Beatification of the Servant of God completed, and he committed the documentation to the Congregation for the Causes of the Saints. Faith), where they remained sequestered until 1994. The writings of Luisa Piccarreta have not been judged by this Dicastery: as such they enjoy neither the official approbation, nor the official condemnation, of this Congregation for the Doctrine of the Faith. In fact, they are currently being studied, by reason of competence, by the Congregation for the Causes of Saints, after this Servant of God, independently of the content of her writings, received the nihil obstat of the Congregation for the Doctrine of the Faith regarding her cause for beatification. As such, the Congregation for the Doctrine of the Faith makes, at this time, no pronouncement on the writings in question. The Servant of God’s writings should be interpreted according to the mind and teaching of the Church. Even if they are ultimately judged to be of supernatural origin, they necessarily correspond also to the mystic’s own mentality, which was that of a simple pious person and not a theologian. In keeping with Catholic theology, this must be taken into account in judging what she wrote down of her mystical experiences. At this stage in the Process there is no definitive interpretation of her work. The Diocesan Process judged only her life and heroic virtues, and prepared the critical edition of the writings with commentary, for the review of the Holy See, which alone can give a definitive judgment and explanation. earlier. While this suspension no longer applies, the following statements govern conferences in the U.S. and throughout the world. locales where they wish to give conferences. Conclusion of the diocesan phase of the Cause of beatification and canonization of the Servant of God Luisa Piccarreta. Next October 29th (has already occured on October 29, 2005), at the main church of the Apulian city of Corato, Mons. Giovan Battista Pichierri, Archbishop of Trani-Barletta-Bisceglie, will close the diocesan phase of the Cause of Beatification and Canonization of the Servant of God Luisa Piccarreta, a humble and hidden tertiary Dominican, in a bed for over sixty years. With much prudence and as much constancy—beginning with the Dominican Archbishop Reginaldo Giuseppe Maria Addazi, who was followed by Archbishop Joseph Carata—all the Diocesan Bishops, one after another, did everything in their power to rediscover and bring to light Luisa’s exemplary life experience, while the believers persevered in their ever-increasing devotion toward such an excellent soul. by her spirituality and attracted by the many benefits received by reading the already published works. “Divine Will” of Piccarreta have become discovered and appreciated also by a large number of believers in the Americas. In the fortunate linking of the steps of revaluation, the Archbishop Mons. Carmelo Cassati has obtained from the competent Roman Congregations, the nulla osta [approval] for the opening of the Cause of Beatification and Canonization of the Servant of God, which took place on November 20, 1994 — the feast day of Christ the King. And now we have finally reached the conclusion of the first phase of the lengthy ascent to the honors of the altars. magnetizes the souls to follow her example, and the blessings that she continues to pour down from Heaven through her intercession. 29th of October 2005. The International Congress of Costa Rica, which lasted eleven days, comprised five, teeming, daily presentations—more appropriately “meditations” centered on the Divine will as lived and taught by Luisa Piccarreta—and they were accompanied by Eucharistic Celebrations and a steady adoration to the Holy Sacrament. The following data may underline the significance of that memorable Congess: several hundred attendees coming from sixteen American nations; representatives of Italy and India; various Bishops; about three hundred priests, one hundred and fifty seminarians, and many members of religious orders. of the closing of the diocesan phase of the Cause of Beatification of Luisa, will contribute to shed light on the salient aspects about the person, the spirituality, and the holiness of life of Piccarreta, in light of the testimonies and of the documents retrieved during these last years. Speaking of the Cause, in 1994—just after the opening of the Ecclesiastical Tribunal and the publishing of the Archbishop’s edict for the collection of the names of witnesses to be interviewed, as well as of the writings of the Piccarreta—crowds of believers came around the bed of the Servant of God to listen to her simple and illuminated lessons on the Divine Will, just as it had happened when she was alive. In fact, the first result of the process of beatification was the retrieval and the cataloguing of the diaries and publications of Luisa’s works. In 1996, Archbishop Mons. Servant of God, which had been appropriated in 1938 by the aforesaid Congregation. He then appointed some reputed theologians to reexamine such writings and to judge the orthodoxy of the Luisa’s writings, which were needed for the proper procedural acts. Since her death, the fire of these writings has almost blazed like wildfire, and the Tribunal has now been able to ascertain their great importance and scope—a rich mine of spirituality! Also, the diffusion of her works, which have been translated in many languages, constitutes a devoted pilgrimage and a religious hearing of her simple, humble and effective word, proclaimed both with her life and with her writings. Servant of God; and the secret is not violated if we affirm that their unanimous opinion is much more valid because it perfectly fits in the context of the unchanged and always growing plebiscite of devotion of the present faithful people. Through their answers, the members of the Tribunal, under the guidance of the Postulator of the Cause, Don Lattanzio, seemed to experience again the enthusiasm of the four days of exposition of Luisa’s body at the triumphal funeral of that prophetic March 1947—apotheosis and crowning of her terrestrial existence. opinion, already enjoyed in life the appellative of “saint” and, as already mentioned, all called her and still call her “Luisa the Saint.” This opinion doesn’t intend to anticipate the final judgment of the Holy Mother Church—even if it remains an ardent desire!—but it denotes only a judgment of the people, strongly struck by her simplicity, transparency and holiness. Never was there seen in her the desire for the sensational or extraordinary phenomena: her existence was conducted for over sixty years in sufferings, in union with the suffering Jesus, and in uniformity to the Will of God, to which she consecrated her life with a vow, as victim soul. She asked God not to leave visible marks on her body. Concerning the work she was able to do, she taught it to her students. She lived in poverty and absolute detachment from earthly things, in a state of continuous prayer. Among the everyday routine of her duties there was only one extraordinary phenomenon: the regime of her food intake and the nighttime bodily stiffening that she called “my usual state.”* According to those who assisted her, Luisa ate very little, without suffering any damage to her health. There was only one thing that she could not do without: the Holy Eucharist. Her conversations with her Divine Bridegroom extended lengthily into the night, and they were accompanied by a stiffening of her limbs, from which she could be awakened only upon a call to obedience by the priest that went daily to her house to celebrate Holy Mass or to bring her Holy Communion. To everybody she gave the example of a normal, daily, working, and consistent holiness, in the simplicity and humility of life, in her brief exhortations, in her striving for supernatural intentions, and in the perfection of her actions—precisely the style of holiness that is currently looked for by the great majority of believers. The exhortations, the diaries, the books, the counsels were, therefore, given in light of the “fiat voluntas tua,” as Jesus did, taught, and told us to do in the “Our Father” prayer. ecclesiastical authorities, by superiors, by priests, and by religious of strong theological and ascetic culture; yet, she perfectly remained serene, and above all, humble and obedient to the Will of God, which was manifested to her through the Church and her ministers. And now it seems that this same august Divine Will is manifesting Itself in removing all the obstacles to the promotion and diffusion of a spirituality that is greatly needed for the salvation of humanity. There glows in the Servant of God her spirit and practice of obedience to the Holy Church. We have already mentioned her acts of obedience for her writings and for her daily exits from “her usual state.” Her full submission to the will of her ecclesiastical superiors has been considered the most radiant pearl of her soul. She herself—it is worth noticing—used to instill such feelings into the minds of the priests involved in her life. Therefore, she was always treated with great respect by all the archbishops of her diocese, by the local priests, and by the religious that visited her. largely spread in the Church, family, nations, and social groups. A last touch for an almost complete spiritual profile of the Servant of God arises from the conclusions of the Process: she was an apostle of salvific suffering. suffering. He in fact, interprets suffering as an annihilation of his dignity; he doesn’t understand it, and he intends to eliminate it from history. united to the crucified Christ, and mystically immolated in the Eucharist; the cross then becomes a suffering full of love, a suffering willingly hidden and always in line and in tune to the Fiat pronounced in Nazareth and renewed on Calvary by the Most Holy Virgin Mary, to whom Luisa was very devoted. overflowing with the merits of Christ’s suffering, we need to add the drops of man’s suffering, in order to cooperate in the same Redemption. To all those who asked her to implore from God relief from the pains of life, she ever reminded them of the sublimating value of suffering, which she embraced in her Via Crucis to the Gethsemane up to the “consummatum est” of March 7, 1947. We believe that we are not exaggerating if we affirm that Luisa Piccarreta became a creature that left indelible signs of her charisms, of her spiritual faculties, and of her developed apostolate. For mysterious dispositions of the Will of God, she now shines as a star in the firmament of Christ, whose light is reflected in the innumerable facets of her brothers and sisters united to her. The spirit of the virtues practiced by Luisa has remained on earth, and it is ever enlarging, notwithstanding so much time that has passed, becoming an example and a stimulus to follow her own way of holiness. May this humble lay woman—both elderly and perpetually young in the freshness of her flesh, tortured by a long and inexplicable illness , always peaceful, serene, humble, and innocent—intercede from Heaven for us wandering pilgrims, and obtain for us celestial protection.